Standard practice in the U.S.A. is to use crush washers, "O" rings and/or Stat-O-Seals to seal ports and banjo fittings. English practice is to use "Dowty Seals". Dowty seals are similar in concept to our Stat-O-Seals, but are considerably smaller in diameter (and thicker in cross section). 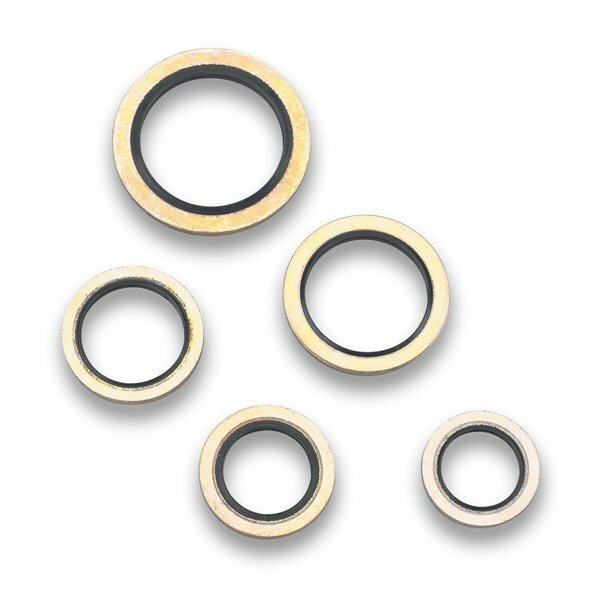 Since many of our road racing and Indy cars— and their mechanics—are of English origin, Earl's offers a complete range of Dowty Seals.